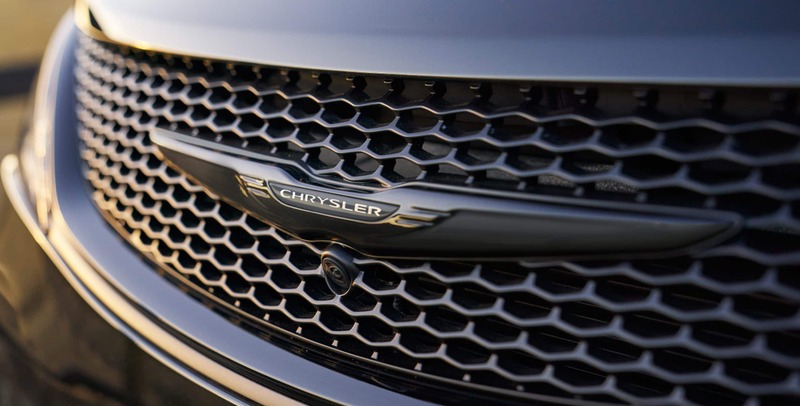 New for 2019, the Chrysler Pacifica has added the S appearance package with black accents for both the interior and exterior of the vehicle, 118-inch wheels, and light diesel gray accents. 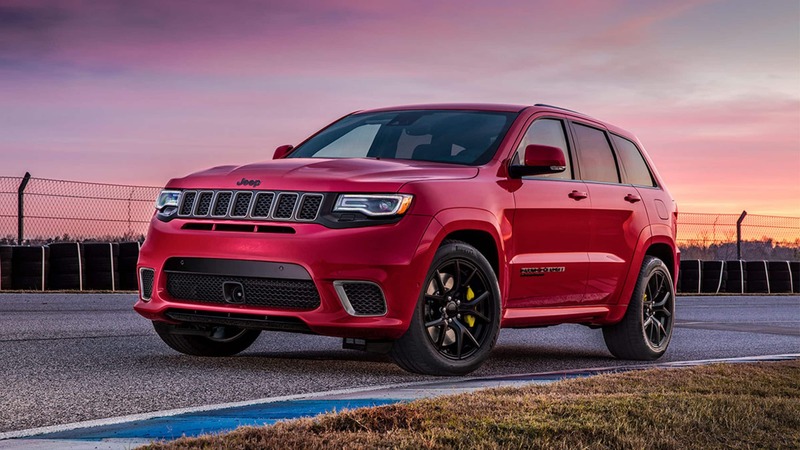 Also new are items like automatic headlights, the option for Luxury White or Maximum Steel exterior paint, and a wide range of new additions to packages and trim levels. Learn more by reading on! What are the trim options? 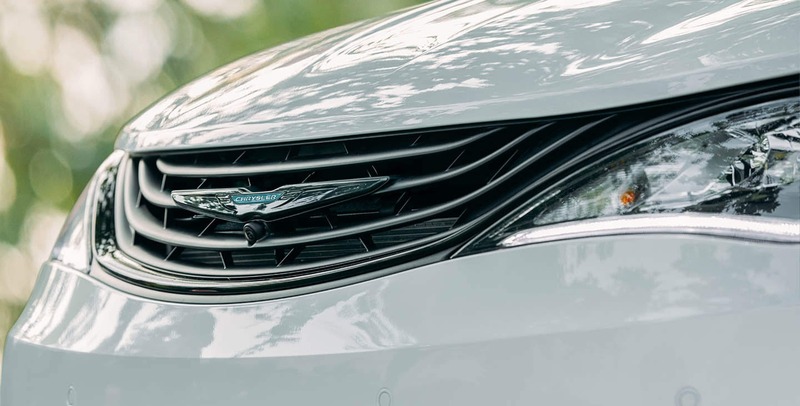 Trim levels of the 2019 Chrysler Pacifica would be the L, LX, Touring Plus, Touring L, Touring L Plus, and the Limited. The L trim starts things off right with features like a 19-gallon fuel tank, sunscreen protection glass, a black grille, quad halogen reflectors, heated outside mirrors, a tire service kit, multiple storage options, premium cloth upholstery, integrated voice command, and a six-speaker system. 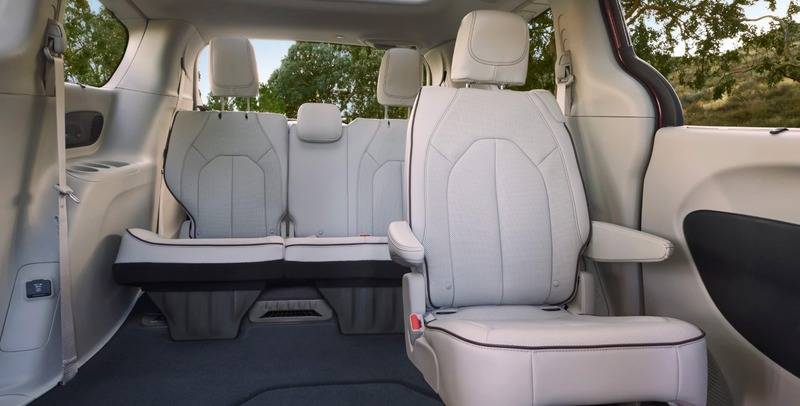 The LX trim adds mounted audio controls, an ambient overhead surround lighting, a cargo compartment light, available electric seat movement options, and automatic headlights. The Touring Plus brings in quad halogen projector lights, three-zone automatic temperature control, a liftgate flood lamp, auto dimming for the rearview mirror, a remote start system, a universal garage door opener, SiriusXM radio, and more! 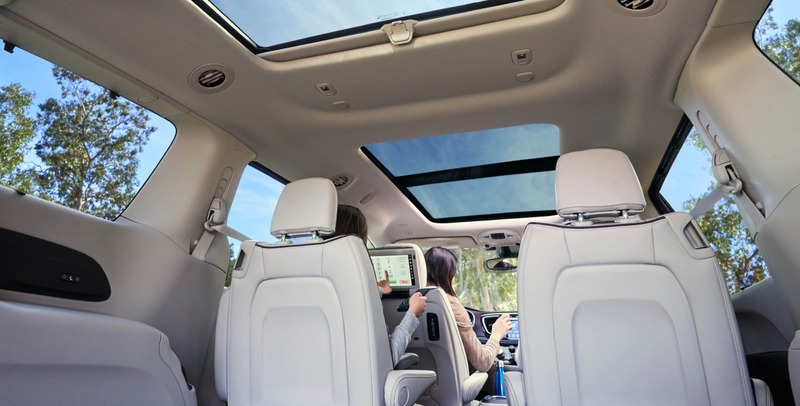 The Touring L introduced features like McKinley perforated leather trim, heated front seats, a heated steering wheel, and some additional storage options. For the Touring L Plus, you will find 17-inch polished aluminum wheels, rear ambient lighting, a 115-volt auxiliary power outlet, illuminated cup holders, and a 13-speaker Alpine system. The Limited trim tops the line up off with features like ventilated front seats, handsfree sliding doors and liftgate, premium Nappa leather-trimmed upholstery, a driver memory system, a vacuum cleaner, and more! What is the engine capable of? 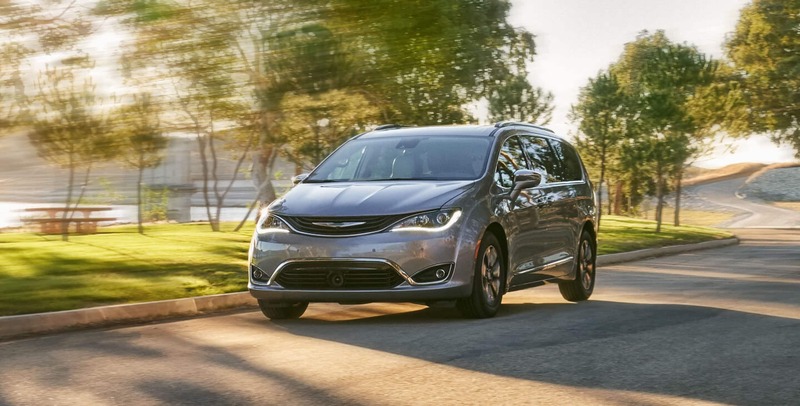 The L trim of the Pacifica comes standard with a 3.6-liter Pentastar V6 engine paired to variable valve timing and a nine-speed automatic transmission. The other trims all have the same engine but they also include engine stop-start. This stop/start engine feature works by cutting the engine whenever the vehicle comes to a stop to prevent idling. This feature can also be turned off with a press of the button if you aren't a fan of the restart. This engine for all trims comes with an EPA fuel economy rating of about 19 miles per gallon in the city and 28 miles per gallon on the highway. How safe is this minivan? Minivans are known for toting around small children. 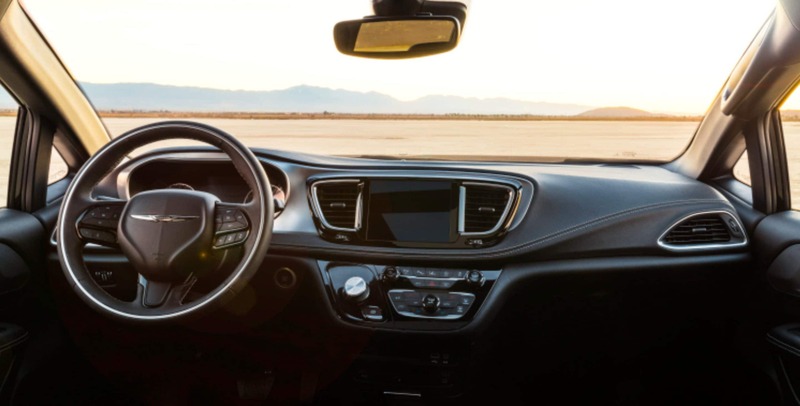 With this 2019 Chrysler Pacifica stop-start you are sure to find a wide range of safety and security features. Many of the trims would include features like a tire pressure monitoring system, rear parking assistance, a rear backup camera, blind spot monitoring, rear cross path detection, an electric parking brake with safe hold, electronic stability control, and of course a child seat anchor system. Other optional features include the forward collision warning plus, the lane departure warning, parallel and perpendicular parking assistance, front and rear parking assistance, a security alarm, a surround view camera, trailer sway control, a vehicle tracking system, and an emergency kit group. 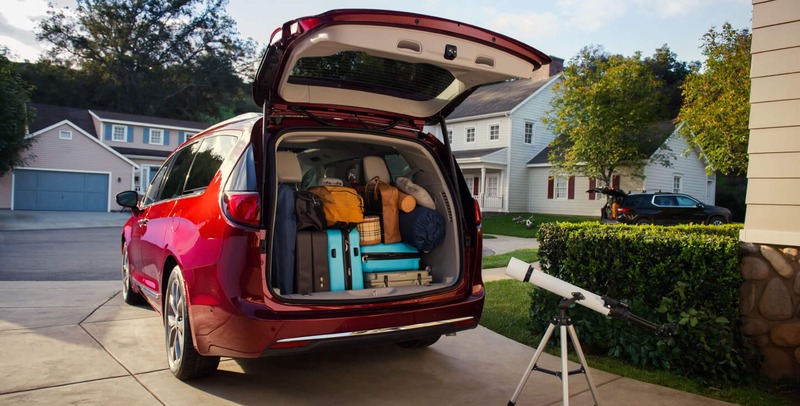 The Pacifica is capable of a wide range of feats, including getting your kids safely to and from any practice, rehearsal, or playdate they may have. 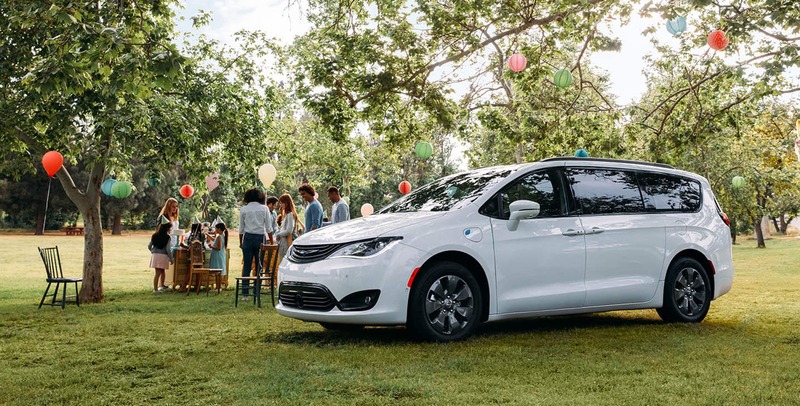 The 2019 Pacifica is more than just a safe way to get your kids from point A to point B though. 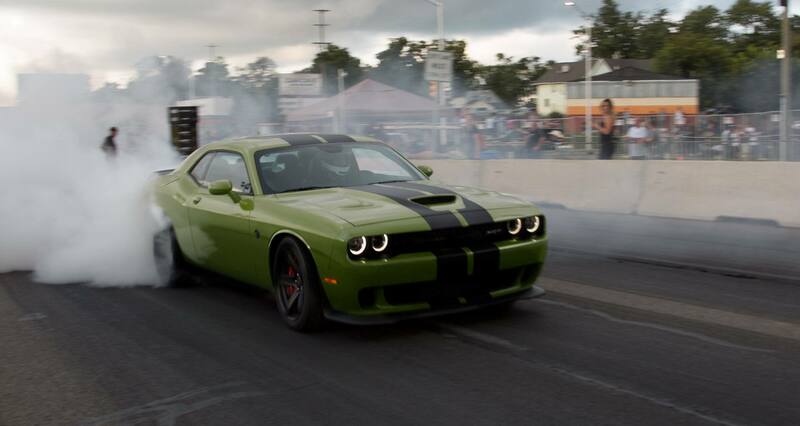 It also comes with some incredibly fun entertainment features just waiting for you to come and try them out!